Is it possible to protect your personal properties with insurance policies? Is it okay to use home contents insurance? What is home content insurance? According to Wikipedia, Home Contents insurance is a type of insurance that pays for damages to, or loss of, an individual's personal possessions while they are located within that individual's home. It would surprise you to know how many homes have all the latest in technological gadgetry, yet have failed to insure the contents of their home against the event of either a burglary or damage. If you want to protect your personal property, you need to be insuring your personal property with a home contents insurance. You can arrange to insure any (or all) of the contents of your home under a home contents insurance policy. Nevertheless, if you have any personal belongings in your home over a certain £ value, then you should be discussing these with your home contents insurance provider – as in most cases property over a certain value needs to be declared independently (and, in certain cases, such as with expensive diamond engagement rings, they may need to be insured independently). Once you have decided that you want to purchase home contents insurance you need to take an inventory of your home, itemising all of the possessions in the home. A really good tip here is not to move all of your possession into one room and then itemise them, but to go from room to room doing this. This way, your inventory will be broken-down into rooms, should damage or theft occur only to a part of the home. Better yet, you should try to walk through your home with a video camera videoing all of the possessions in that room. You can then keep a copy of the video with the inventory. However, if you do not have a video camera, still-camera photographs of your possessions is better than taking no photographic evidence at all. 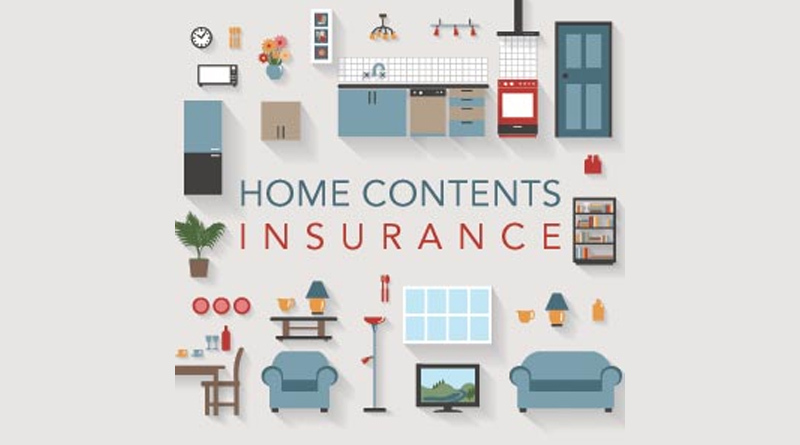 It is vital that you remember that home contents insurance is insurance against the replacement value of the item that was lost, stolen or damaged. It does not take into consideration any nostalgic value. Therefore, if you have expensive personal property in your home, you should arrange to have these independently valued – preferably by an insurance approved valuer – and a copy of the valuation receipt should be kept with the insurance policy. The value of the other items in your home can either be assessed by the price it cost you to purchase them; or, better, by taking a trip down to the local shops and seeing how much each of the items would cost you to buy – as this is the amount you’ll be paid if the item is lost/damaged. Once you have valued and itemised the possessions you want to insure you can then log onto the internet and get some online home contents insurance quotes based on the value and possessions you want to have insured under the insurance policy. Ordinarily, the insurance policy will cover you in the event that the possession insured is lost, stolen or damaged. Damage, in this case, can be the cause of a natural event, such as a bad storm or flooding, or a because of a boiler bursting. You should also read your policy carefully, as some home contents insurance policies cover items which are lost outside of the home – for example, if you are transporting them in the car. Was this article helpful? Share your thoughts in the comments section below.